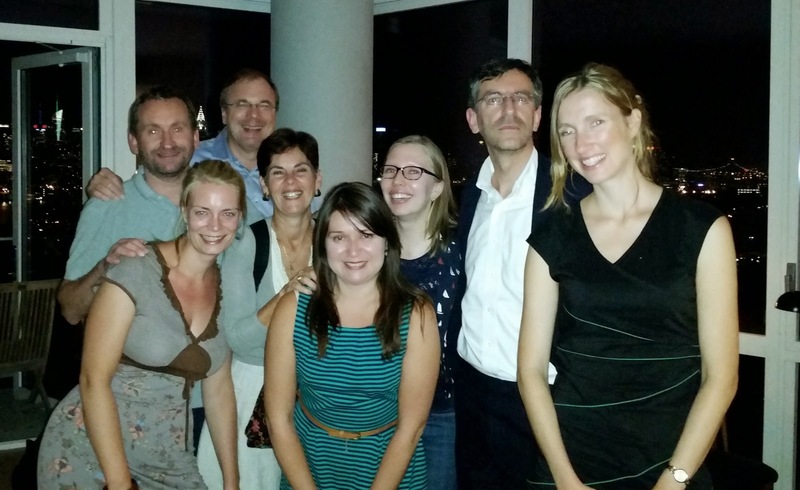 Last month at the invitation of Nils Haupt, Lufthansa's former head of North American PR, I spoke to a small group of aviation and business writers about the book I have been contracted to write about the disappearance of MH 370 and other aviation mysteries. It was thrilling to be questioned about my theories and my experiences covering the story for ABC News from Malaysia, by people who had given the subject a lot of thought. 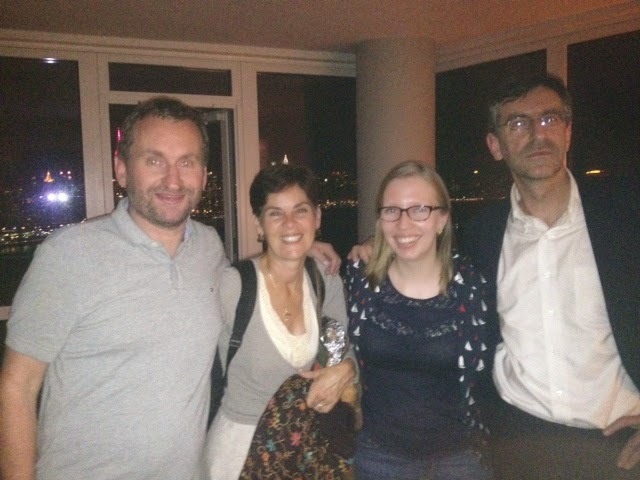 With me that night, was Emily Baker, the acquisitions editor at Penguin who purchased the book and who, to my delight, is a big aviation geek. Don't ask her about Amelia Earhart unless you have a lot of time on your hands. But the time for salon talks is drawing to an end. This weekend, I will blubber like a baby at the wedding of my daughter, watch her and her new husband Elliot Speed head off on their honeymoon, then leave for Australia and the annual seminar of the International Society of Air Safety Investigators. A number of the people actively involved in the search for the missing airliner will be presenting papers. Yes, the time for talk is over. The reading, researching and yes, even the writing has begun. Because I intend to bring you along during the process, I thought I'd review the tools I've acquired and a review of their usefulness. 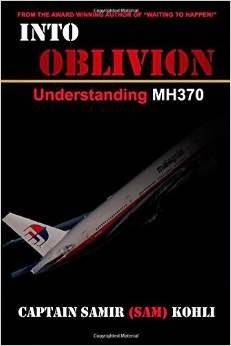 Readin' - Samir Kohli, a pilot, air safety investigator and the 2014 recipient of the Flight Safety Foundation's Cecil A. Brownlow award, has penned Into Oblivion, Understanding MH#370, a comprehensive book explaining the theories, technology and science related to Malaysia Flight 370. He drills deep to explain aspects of the air travel infrastructure allowing readers to come to their own conclusions about the likelihood of certain theories about the mystery. Kohli's book is too dense to be a hit with the general public and the grammar errors are rampant. I've rolled my eyes at editors in the past, but Kohli could have used a more aggressive one, that's for sure. Nevertheless, this is an excellent resource book. Samir Kohli, Welcome to my bibliography. Researchin' - I actually read Into Oblivion on my Lenovo Yoga Ultrabook. The latest, slimmest, lightest laptop computer I've ever owned, which converts into a large Windows 8 based tablet for reading books like Kohli's. I've owned Lenovos for years because I have found them hard-working, ultra-reliable and user friendly. The Yoga, provided to me by Lenovo this spring, accompanied me on my trip around the world in June, and will be in my backpack for my second global venture beginning later this month. Perhaps it is because I am a woman of a certain age, but I am feeling simpatico with the benefits and the flaws of my Yoga. It is my only computer. I take it on the road with just one accessory, a Kensington bluetooth mouse. At home, I dock the laptop, hooking it up to my Samsung monitor, Dell keyboard and mouse. It is a seamless operation but I am not enthused by all of the personality traits that Yoga and I share. On the upside, I’m blessed/cursed with an abundant energy supply and so is the Yoga. 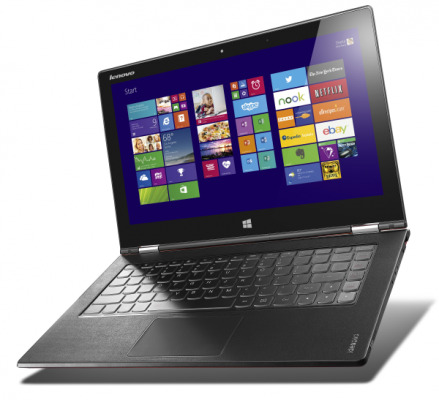 The battery lasts a good six hours with multiple programs running and splendid wifi reception. When the “plug in your charger” message appears, don't mess around; the computer will turn off without a second warning. Yeah, I can be snappish too. Having raised 4 children, I know its important to be a multi-functional power source for others. So is the laptop. It can juice any USB powered device even when it's turned off so long as it is plugged into the wall. Age and experience have enabled me to make wiser choices. I no longer believe I have to be everything to everybody. Likewise, my Lenovo has given up on the center crank hinge that turned the laptop into a tablet and now does an age-defying 360 degree bend, stopping enroute to become a tabletop monitor or a full-sized tablet. Yoga anyone? Sometimes, as a reporter, I have to attack a problem from multiple directions. The Yoga is equally flexible. It has a touch screen which is just so intuitive both in the way it harkens back to working with paper and in how it gives the user the ability to push documents and photos around to focus on or expand. There is also a trackpad and eraser pointer, but I don’t like working with them at all. Sure, I too can be reactive, overly sensitive and irritable. This is another middle-aged lady quirk. But the track pad is just plain squirrely, not just hard to get accustomed to; impossible to figure out. Sometimes the right click works with a tap on the right corner, sometimes it does not. Fifty percent of the time I inadvertently call up the Windows 8 menu bar and have to backtrack. Other times, it reacts so quickly, entire blocks of text are highlighted and deleted. I've spent a lifetime trying to keep my weight down and travel well. My Yoga is just three pounds, making it easy to tote around in a backpack. This is the first version of the laptop that is light enough so that I don't have to think twice about bringing it with me anywhere if I think I'll have a few spare moments to work. That's a weight reduction, worth bragging about. Writin' - When I showed up at the physical therapist complaining about pain in my neck, back and arm, the first thing he wanted was a photo of me working at my desk and he was not pleased with what he saw. One cannot spend hours a day twisted like a pretzel over a child's school desk without repercussions, he told me. Pain being a tremendous motivator, I had a new glass-topped standing desk installed in my office before the week was out. I am enormously pleased with my new Rebel Desk. 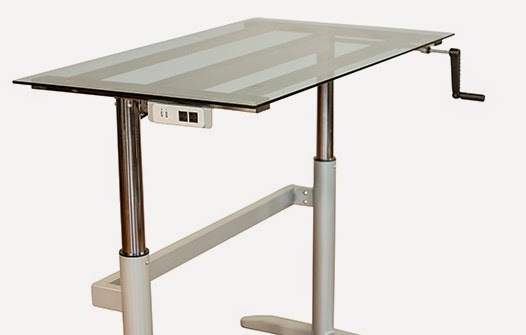 It converts from a 28 inch high conventional desk to a 48 inch high standing work platform with a hand crank. The process of changing the height takes about 30 seconds. A power supply mounted on the side gives me 2 USB and two regular power plugs. Since placing it at the window overlooking my garden last month, I've spent about equal amounts of time sitting and standing and both positions are more comfortable so I find I am more productive. This may be a terrible thing for a writer to admit, but I've long felt that I am ill-suited to this profession. Its sedentary nature conflicts with ants-in-my-pants me. So I'm excited with the possibilities of the Rebel Desk because it allows me to stand - and wait for it - with the optional treadmill, even gives me the opportunity to burn some of that energy while writing. If ever a tool provided both the reality and the metaphor for moving forward with a project, my new Rebel Desk is it. Emily at Penguin will be glad to hear that. Thank you Christine. Critique and praise, both well taken! I can assure you I will fix the issues you have highlighted in the next book...except that my books will always remain technical! Unfortunately, English is not my first language and I an Aviation Expert, not a Literary genius!!! That is why this world needs you.